Call Today & Get Started with a Free Evaluation. We Design & Maintain Functionality For Curb Appeal and Backyard Lifestyle. Call us to get a Free Estimate and get started today. + Great Prices. Go ahead and compare us to anyone! Give us the opportunity to help you with your landscape objectives. We service all types of residential and commercial properties throughout the East Valley of Metro Phoenix, including Chandler, Tempe, Gilbert, Mesa, and Queen Creek. We're confident in our ability to meet the unique needs of each client in an efficient and timely manner.﻿ Whether it's improving curb appeal or creating a tranquil backyard, we offer tree trimming, tree removal, complete front yard and backyard maintenance, as well as design and construction services. Why do our clients love us? Amazing Service & More! Finally! We've been looking for a five-star company like Thunder Landscaping for 10 years! Communication and follow-through was truly exceptional from start to finish, and prices are more than fair, with a bid for the work coming in well below any of the other bids we received. We initially hired Thunder Landscaping to do a small stump grinding job, but after my wife and I watched him and his crew complete the work like true professionals, we asked him when he could do a thorough clean-up of our front and back yard. No problem... They did on the spot! Our yard looks wonderful again! 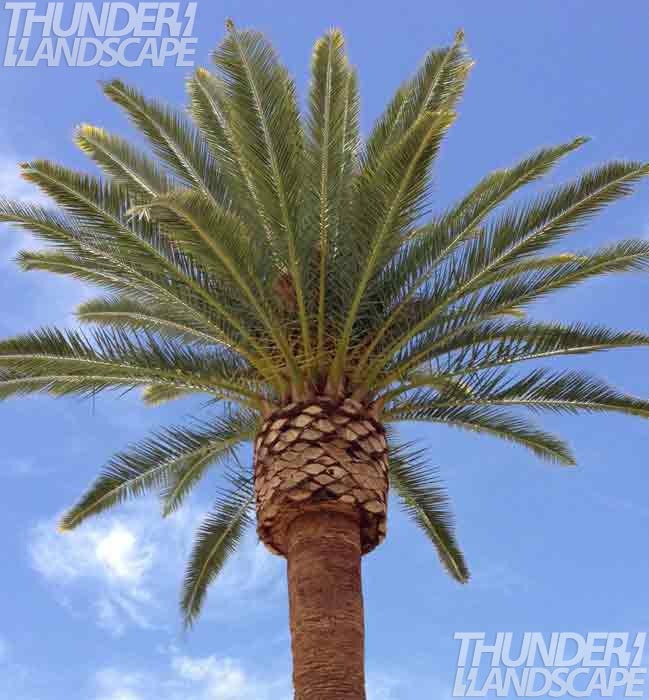 In fact, we were so thrilled that we hired Thunder Landscape for an additional project, which is on the schedule for next week. We needed two tree stumps removed and Thunder Landscape replied within 15 minutes of our inquiry. Only one other replied and that was about a week later. They were available by 8am the next morning. Fast and efficient and reasonably priced too. They had to drive some distance to get to our home and had no issue with that either. I would recommend Thunder Landscape. We were so fortunate to find Thunder Landscape. They are very professional and well aware of delivering great service. They recently trimmed palm trees and shrubs in our backyard pool area. The gave us a great rate and thoroughly cleaned out the swimming pool of any debris. They're hands down the best landscaping service I've encountered. I made an appointment for a quote with Roberto from Thunder Landscape and he was on-time, courteous, and at a very fair price! They came on-time and worked their tails off, trimming four of our 30-foot-tall sissuo trees and removed one, including the stump grinding! They left my yard completly cleaned up and no extra work for me. These guys are worth every penny! We are first time home owners and our home was left vacant for a year when we purchased it. We did not have any equipment or the time to handle our backyard, which was already landscaped. We found Thunder Landscape and they were at our from door promptly at 7am the following morning. Pricing was fair and they did an amazing job with our front and backyard. They guided us on how to maintain and what to do in case we wanted to change something later on. Very friendly, knowledgable and reliable. We will be calling on Thunder Landscape again when we need help. We can evaluate your property for functionality. We can take on large-scale tree removal. We'll maintain your property to the highest standards. We can offer suggestions for optimal use of outdoor space. Contact us to get started with a free site evaluation.